Our program is a cooperative effort between teachers/staff and our students’ parents. Parents serve as “parent helpers” on a rotating basis, under the guidance of the teachers who communicate curriculum plans and responsibilities to the parent helpers at the beginning of each day. Responsibilities include assisting as extra pairs of hands (or laps) to help the teacher carry out the planned curriculum, providing snack and beverage for all children, and helping maintain a safe, clean, and well organized environment for learning. Submit a copy of an up-to-date insurance card on the vehicle noted in your enrollment paperwork. The names of people with insurance cards that are about to expire will be listed in the monthly newsletter as a reminder. Parents are required to file current immunization records with the school. In the event of a serious accident or injury, an emergency phone number must be available at the school. All of this information should be included on your child’s registration form and is kept on file at the school. It is the parents’ responsibility to notify the teacher if ANY changes need to be made to these forms during the year. If you need help with a particular discipline issue, please feel comfortable to ask a teacher for help. It is assumed by the teachers that you feel comfortable with the situation if you don’t seek their help. Never talk about a child in front of him/her, other children, or parents. If you have observed something that you feel the teachers should know about, find an opportunity to tell them privately. Never assume a child’s act is a deliberate act of wrongdoing. Do not make them feel guilty for his/her behavior. Remember that children need adults with whom they can comfortably make mistakes. A child needs love when he /she is least loveable. Beginning with the 2013-14 school year, Humpty Dumpty will no longer be hosting express fundraising projects. All funds needed for the school to function are covered by tuition and additional fundraising is no longer required. However, there are still a few (easy!) programs in place at our school where you as parents can help the school. If you are looking for a way to help out your kiddos’ school…look no further…we have developed Humpty’s Helping Hands. Every month, we will post, in the newsletter and outside the classroom, a list of items that would greatly benefit the school. Some items may seem a little strange, but wanted for an object lesson…i.e. a large tub to do our version of “Will it float?” or a book to borrow for one of the centers, like one on the Solar System. Be on the lookout for how you can be a Helping Hand! Order books online from Scholastic and earn more for our school! For every order placed online, Humpty Dumpty gets a FREE book for the classroom! 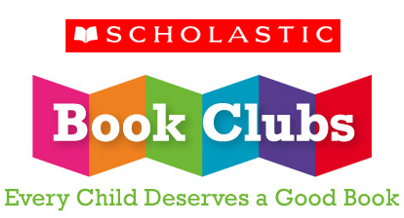 Click the link below or sign into your account at Scholastic.com and enter our school’s code (H2XM2) to connect to our class. Submit your order and pay online and the books will come home in your kiddo’s backpack. You can also submit your order and check via the flyers to your child’s teacher. Collect labels from Campbells products and send them to school in your child’s communication folder! More labels = more goodies for our school. 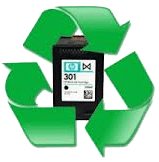 Bring your old printer ink cartridges to school for recycling and let Humpty benefit! Any brand of cartridge can be used. Drop them off at the school in the bin by the door, or send them in your child’s backpack (in a sealed ziploc, please). Let your kiddo have some extended fun with their friends and help our school at the same time! Beginning Monday, Sept 30 we will offer extended days everyday (Monday through Friday) on a trial basis. Extended day is a time for our kids to have the opportunity to eat lunch with their teachers and/or other parent helpers. A fee of $5 is due at time of drop off if you want your child to stay for Extended Day. If you forget a lunch or would prefer not to make a lunch, one can be provided by Humpty Dumpty for an additional $5. It is important to note that if payment is not made that day, an additional $5 late fee will be assessed. Kids love to bring a lunch to school and parents love the extra hour! Come join us! Want to see what our school day is like in person? We’d love to have you! Come visit us and see the Humpty Dumpty program in action. Simply contact us at (573) 874-2389 or using the button below to schedule a time for your visit.